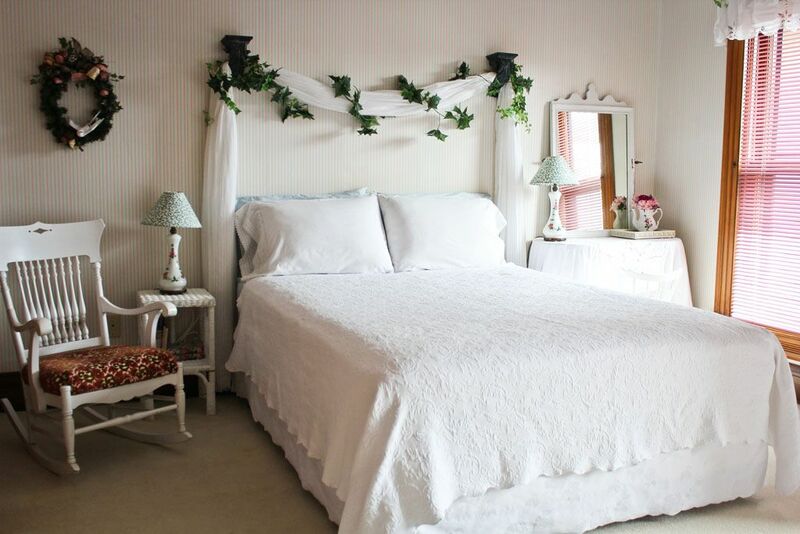 Miss Alicia’s Room is light and airy, decorated in a fresh garden theme. Furnished with a comfortable Queen bed and twin-size daybed, this room can accommodate 3 guests (add $25/night for 3rd guest). 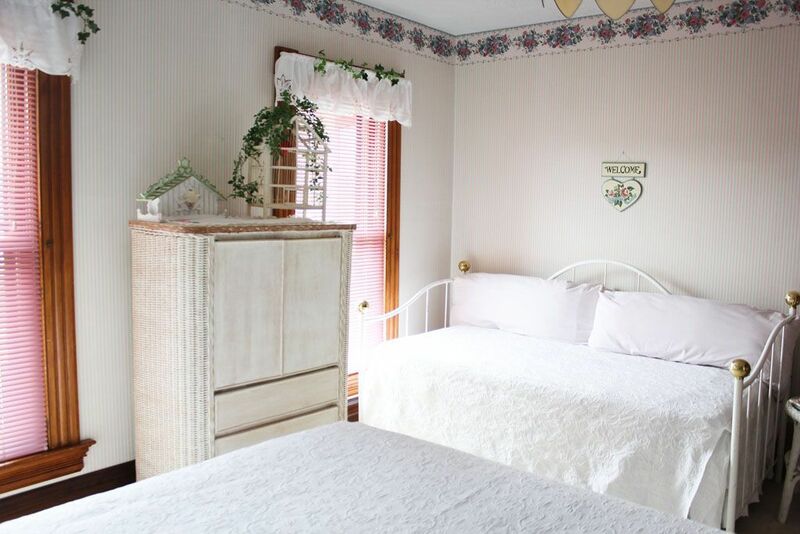 Miss Alicia’s Room includes a rocking chair, an armoire with a flat-screen TV, and a vanity set. The garden theme continues in the private bath with lovely hand-painted ivy touches, a pedestal sink and cultured marble shower. 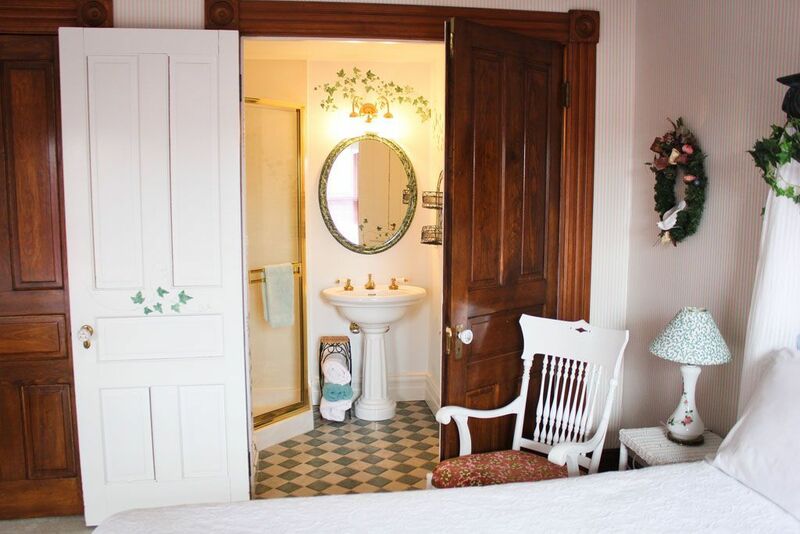 © 2019 Victorian Rose Garden Bed & Breakfast. All RIghts Reserved.